Polarized Power sockets refer to sockets where the phase and neutral connections are fixed. That is, the plug can be inserted in any direction. Polarized connections, on the other hand, are designed that the phase and neutral pins can go into specific holes. 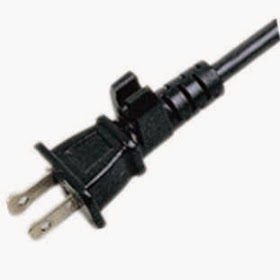 Three pin connectors are in general polarized connectors. An exception is the Italian mains connector with three pins which can be connected either way. Polarized power sockets are used in applications where interchanging the phase and the neutral conductors can result in shocks as in a toaster. Since the switch is connected to the phase line, send the phase supply through the neutral would mean that the appliance will have power even when it is switched off. A table lamp needs a polarized socket as interchanging the phase and the neutral lines would result in supply reaching the lamp holder even in the power off condition.